Having lived most of my life in Brazil, I have come to really cherish the few warm months of late spring and summer, when I (sort of) relive those tropical days by lazing away on the beach, attending outdoor concerts, having picnics in the park and, of course, grilling—anyone who has been in Texas de Brazil or Fogo de Chão understands the deep relationship people there have with the grill. I am not, however, your average griller, since I do not go to the nearest market for hot dogs or hamburger patties. For starters, I “retired” from red meat years ago (though I do eat poultry and fish), so when we barbecue I often bring stuff that leaves my meat-loving friends scratching their heads—that is, until they taste the final result. I often throw sliced vegetables like zucchini, eggplant and beefsteak tomatoes on the grill, which all pair well with a nice vinaigrette dressing or chimichurri, the garlic-rich sauce Argentineans put on various dishes. 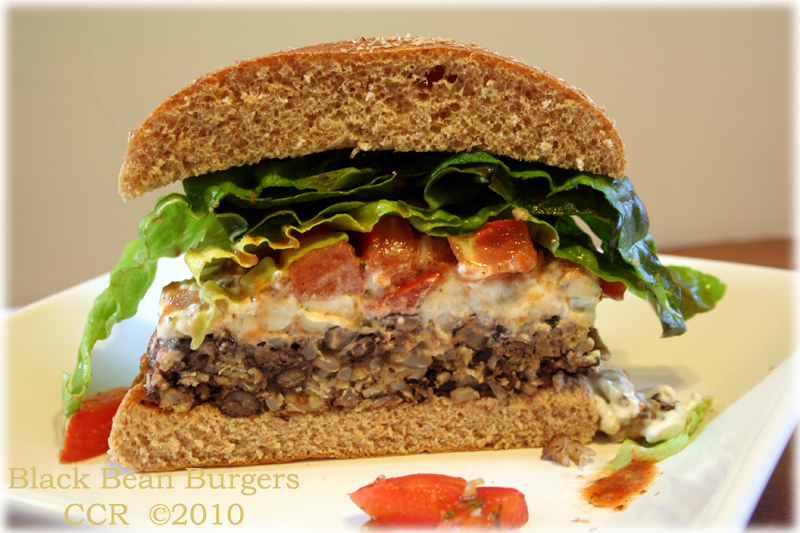 I also like to prepare veggie burgers of various varieties—my personal favorite being black bean burgers that I learned from a magazine I can no longer remember years ago. They are easy to prepare and store until the charcoals are right. Another recent discovery I found in Paul McCartney’s recently published “Meatless Mondays” cookbook: tofu kabobs, which are marinated in a citrus sauce for hours and then put on skewers with onions and tomatoes. This recipe was created by Pamela Anderson, of all people, but they are indeed delicious and also very nutritious. Mash half the black beans. Mix in remaining beans, sour cream and remaining spices and refrigerate for about an hour. If mix is not firm enough to make patties, add some more bread crumbs. Form patties about an inch thick with your hands. Grill until cooked through and serve (if using indoor griddle, cook at 350 degrees). Use some cooking spray before grilling. In an empty glass jar (do not use plastic) put all the dry ingredients. Add the olive oil, vinegars and lime juice until the ingredients are well covered. Add salt and pepper to taste. Mix well and cover jar in refrigerator for at least twenty-four hours before using. For a bigger kick, also add a well-chopped jalapeno pepper to the mix during preparation. Serve on grilled foods.